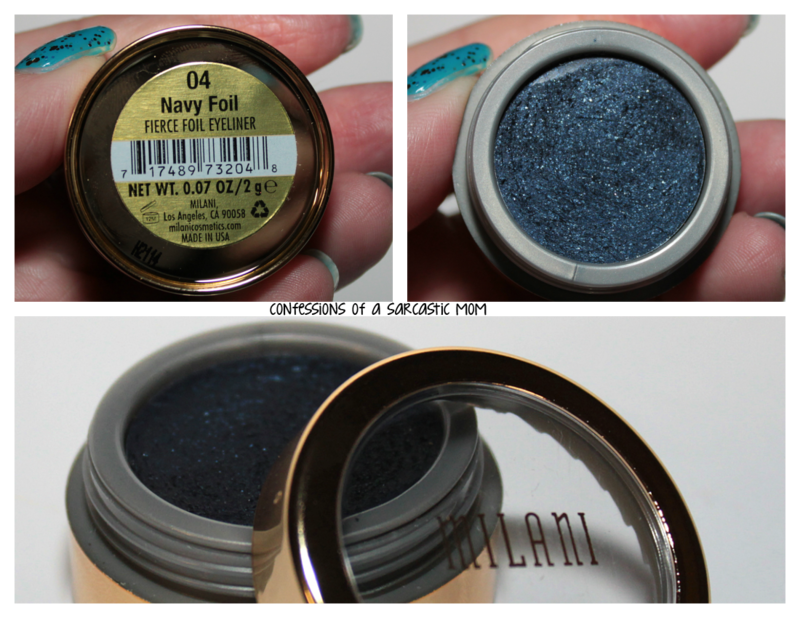 Below I've got some collages of each of the puts of eye liner. 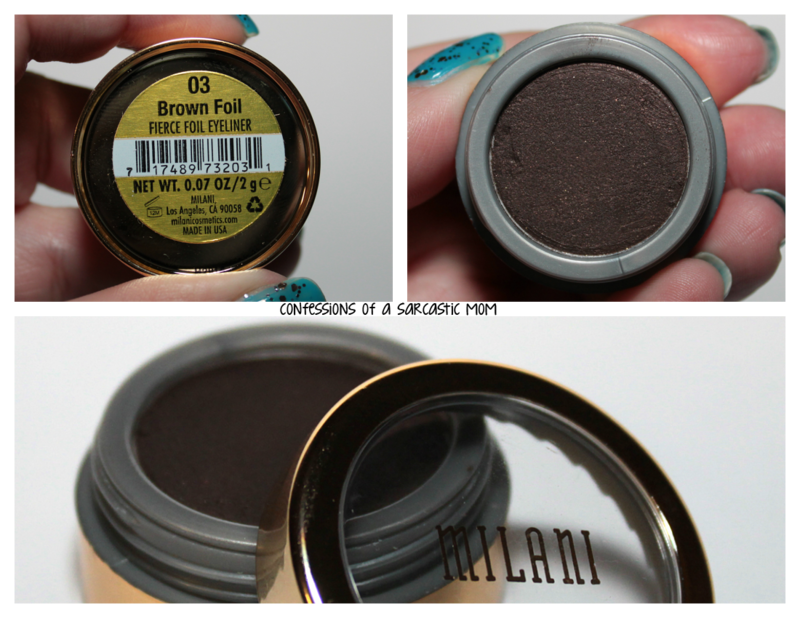 These pots are $6.99 each, and all but the Brown Foil is available currently on the website. 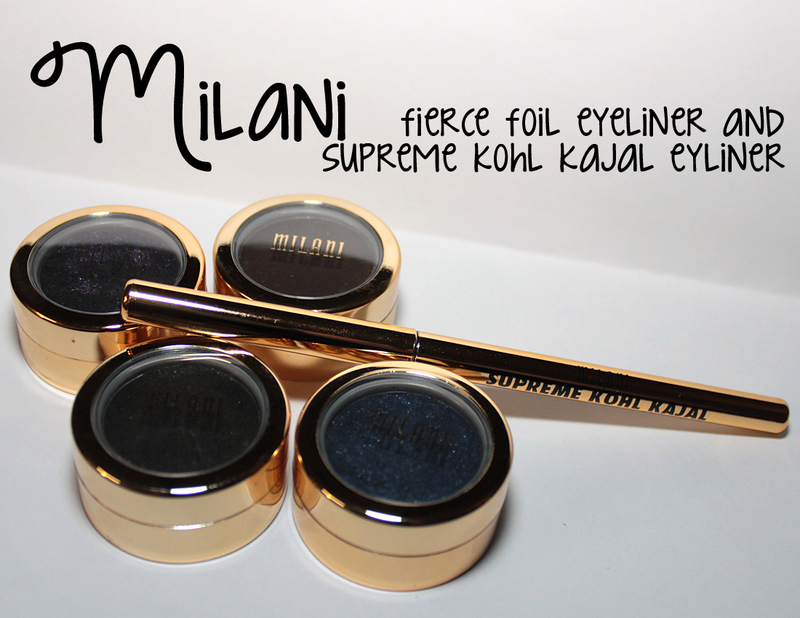 Supreme Kohla Kajal is availanle in one color - black. 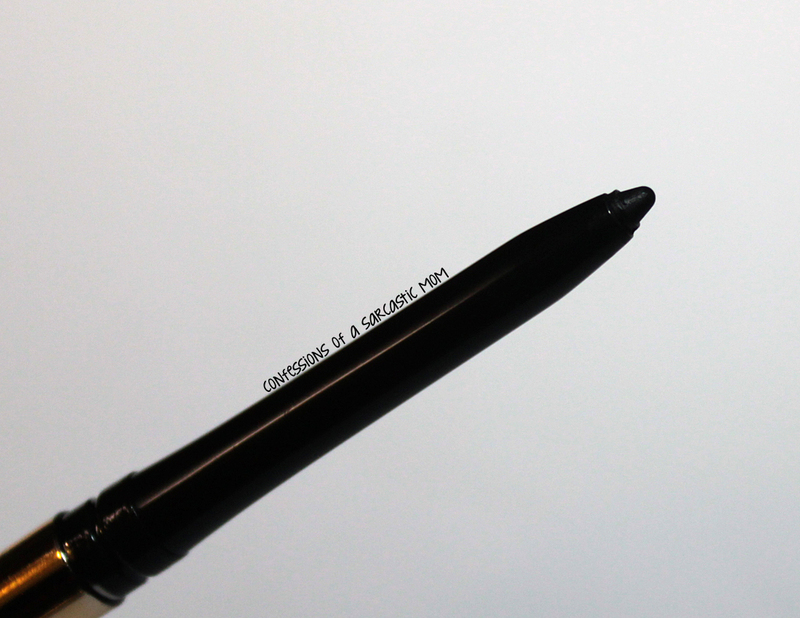 It's sleek and precise, and also self-sharpening! Price on this one is $5.99. 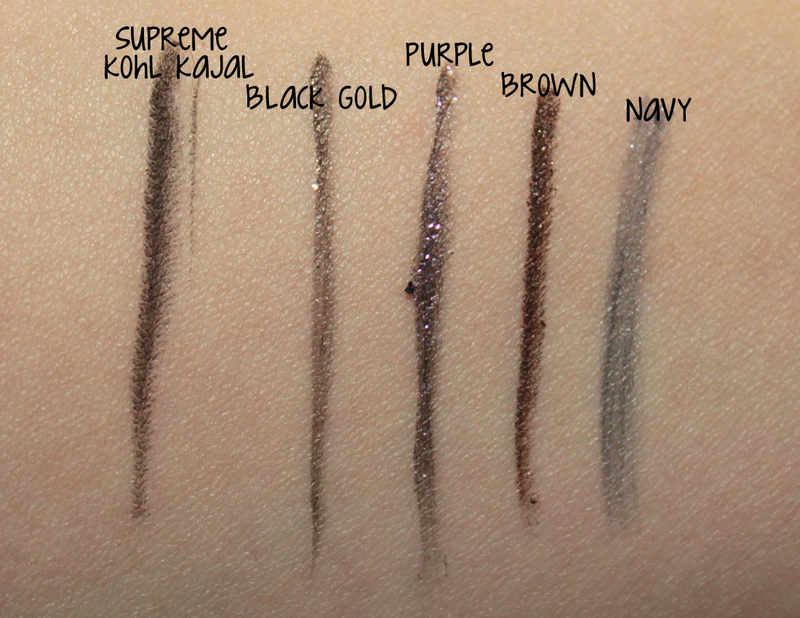 Here are swatches of each of the liners - each is one swipe, whether it's the liner itself or with a brush. What are your thoughts? 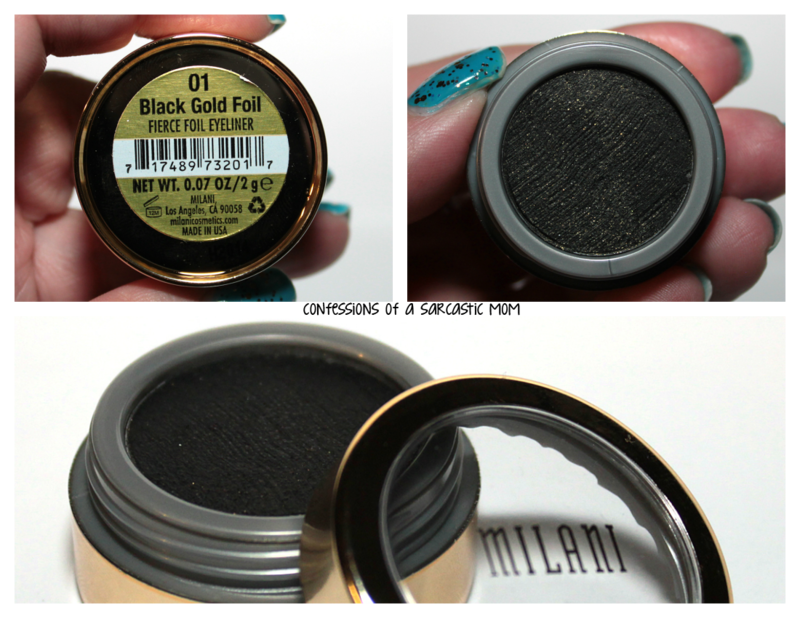 You can get these on the website, or wherever Milani Cosmetics are sold! 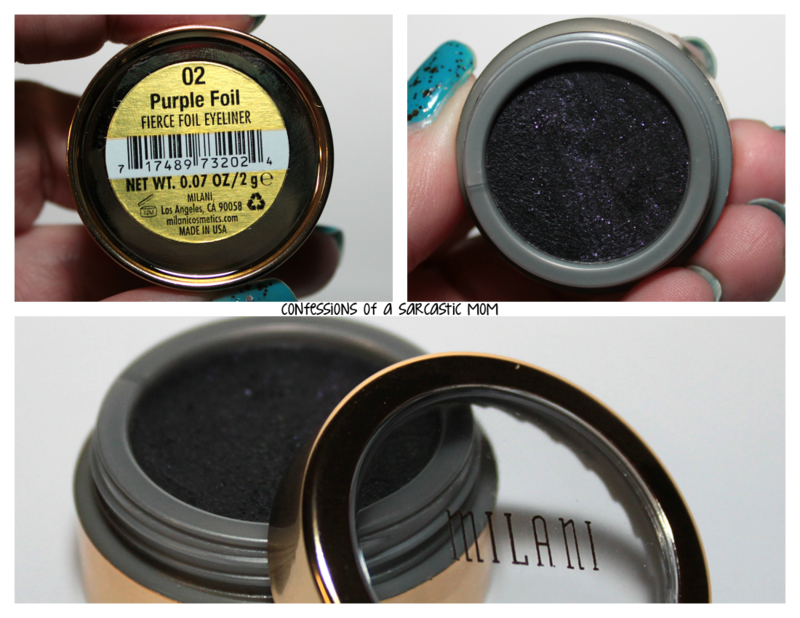 I like playing with the pots a lot, creating new eye looks.